Wanda has always wanted to be a witch. She and her friends have made it all the way to Abra Academy™, and they need your help to graduate! 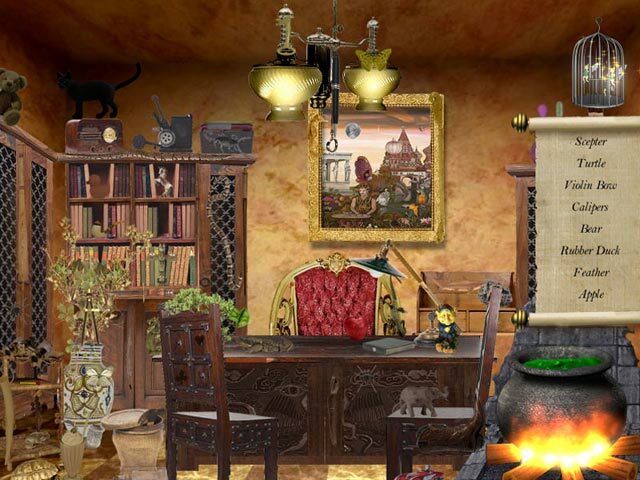 Guide Wanda through various rooms in Abra Academy™ and aid her in finding hidden objects. Each room will put her witching skills to the test. The more items she finds, the faster she can graduate. 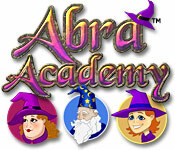 Start your studies at Abra Academy™! Abra Academy ™ is rated 3.6 out of 5 by 9. Rated 5 out of 5 by pennmom36 from Abra Academy Is Magical I loved this game! There are 4 hidden matches in each scene that will fuel your cauldron and let me tell you you could go insane trying to find those matches, very well hidden. You get to search a different scene or room each time and I usually don't like this type of game because usually the items are so super small that they become unrecognizable, some of these items were but for the most part they are just really well hidden. After each "year" at school there is a mini game to complete such as spelling words on a scroll by clicking and dragging letters as they pass by. Good HO game, enjoy! Rated 5 out of 5 by soul4ever from Can you say Abracadabra? Academy for wizards that are looking for HO all the time... Apparently these wizards among other things need to locate items throughout the academy, you're one of them by the way, a wizard! Harry Potter anyone?...and if you can't find an object a fairy that is in a cage, don't know why they're in a cage, seems a bit harsh...manages to get out and show you where the object is, and that's folks the magical hint option. You also can try and locate matches throughout the scenes in order to help keeping the flame lit. Matches spread in the scene, can you say "danger in da house"? The graphics are good old days kinda graphics, we get better quality nowadays but these ones are few years old and I think are good enough considering. The game is easy to figure out and easy to play, nothing in it is to challenging or difficult, just find the items and be happy! I love the music, it fits the game atmosphere, it even qualifies as cute! come think about it, the whole game is puppy-cute. I own this game and its sequel, and come back to play both for nostalgic purposes. 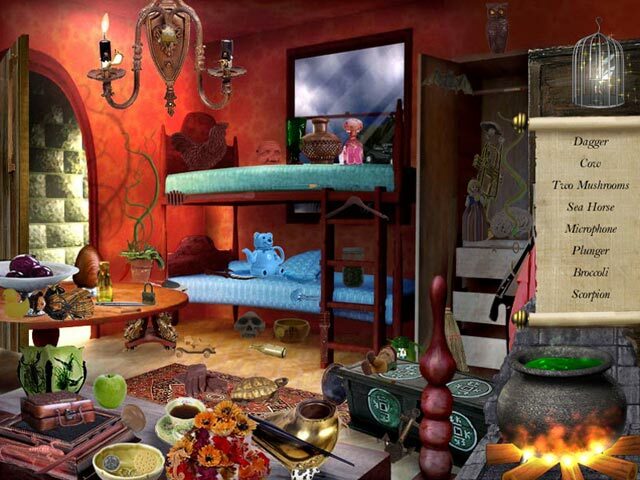 Rated 5 out of 5 by Bejean55 from Fantastic Hidden Object Game! This game was a lot of fun and full of hidden objects! Keep more of these coming! Pleaseeeee!! Rated 4 out of 5 by jmcbeauty from Demo only this is a really cute game. First played demo when I first joined BFG. I would love this game even more if I didn't get eye strain and a headache looking for the matches and some of the items that are so small that i need a magnifying glass. The concept is great and really enjoy replaying the demo every so often. It is definitely an older game but it still has cute items and is fun. Rated 4 out of 5 by reneemaas from Oldie but a "goodie!" I bought this clear back in 2007. I still go back to play it from time to time! The graphics aren't crazy good or anything but they are pretty decent. I really like the music. I think that keeps bringing me back! The game isn't extremely hard. 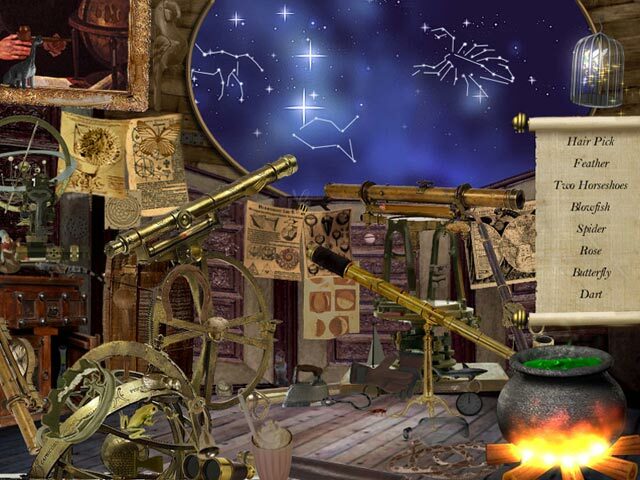 Overall, it's a really cute Hidden Object game! Rated 3 out of 5 by rosekaufmann from Easy game but still fun. Game length is average, maybe a bit more if you run out of hints and have to search for a couple of small items (magnifying glasses are of great use). Hints are in the form of fairies fluttering in their little cage. Save them unless you absolutely need one, because they aren’t renewed. But you do get 3 at the beginning of each level. This is a straight HOS game (no adventure), with a few interesting puzzles. Jaunty music, relaxing atmosphere, nice graphics, clear and distinct HOS, no time pressures. Instead of voice narratives, the conversations are written at the end of each year. A newbie can jump right into the HOS area with ease (but it helps to have a nice magnifying glass handy). Rated 3 out of 5 by baba247 from Abry Academy This game was one of my first games to purchase back in 2008 and of course now that the games are so amazing its hard to put myself back there, but I do remember that it was entertaining enough at the time. I will recommend this but only for new commers if your a old hand like me I don't think that you would get the pleasure out of it just because the quality, and the times have become so amazing . So I am recommending it to NEW MEMBERS. Rated 2 out of 5 by Granny_Gruff from Not even for the kids I am always on the look out for games I can let my grandchildren play. They are computer savy, bright, and love to play on my computer. The oldest, only seven, can often best my time and abilities on an HOS game. I REALLY wanted to like this game. But the review told me more about the "story line" than the game did. I could have lived with the multiple HOS scenes in each level, the limited jiggling hints, and the distracting background music and sounds, but the graphics were awful. Murky drawings with objects in various scales and colors were just not fun. Then the first minigame appeared. The instructions were so minimal that, in spite of the hundred+ HO/adventure games I own, I had to experiment enough to complete the danged thing. It would have been so easy to write the instructions clearly. This game is half off this weekend. I won't even waste a free game credit on it. And I wouldn't subject my grandkids to it even if it was free! Rated 1 out of 5 by catbag8717 from Abra Academy Flunks Out! Good Parts: Good graphics. HOS were clear. Tutorial OK Parts: School theme was ok, but not made to its full potential. Bad Parts: HOS. Bad, bad bad bad bad bad! The type of scene that I hate (map with 8, 8, 8 etc.) Limited hints. Poor storyline. There wasn't much to review of this game, I only played 5 minutes. 'Nuff said. Guide Wanda on her journey through magic academia as she pursues her dream in this bewitching hidden object game!